Read about a sneaky work-around to one of my developmental editor's rules: people only got a name if they "walked on stage" more than once. Early in the editing process of Marcel’s Letters I was given a rule by my developmental editor: people only got a name if they “walked on stage” more than once. Let’s unpack that rule: It’s true, there are a lot of people in the book. Since the book is non-fiction, I couldn’t combine characters to simplify the storyline as I might have if the book had been fiction. So, my editor introduced the rule to help readers distinguish characters they would ‘meet’ again from characters they would only ‘meet’ once. Unnamed characters were akin to movie extras with titles such as “man in car” or “woman in restaurant” or “child on sidewalk.” In this case, the character was my “always-sunny” client. While I understood the need for the rule, it made me sad not to acknowledge friends who were part of my life—even if they weren’t one of the main players in the search for answers. One of my favorite clients was Sunny Nelson. We made a great team, and we worked together for the better part of a decade. Happily for her, Sunny is now retired, otherwise I expect we’d still be collaborating on her company’s marketing and graphic design needs. Since I couldn’t mention Sunny by name in the book, I devised a sneaky work-around. On page 135, readers will find a reference to my “always-sunny” client. More than sneaky word play, it was—and is—true. Sunny is a joy-filled delight. And even though Sunny is no longer a client, I’m glad we’re still friends. 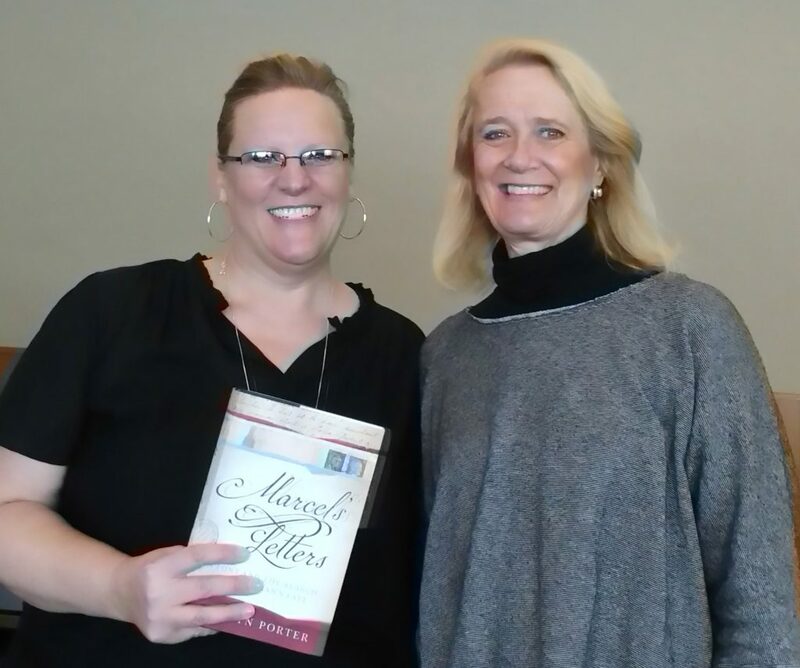 Photo taken Nov. 11, 2018 after a presentation at the Chanhassen Library. Awww….you are always so creative and I appreciate that you figured out a way to “include” me in your wonderful book! Your presentation last Saturday was terrific. I am always inspired by you!